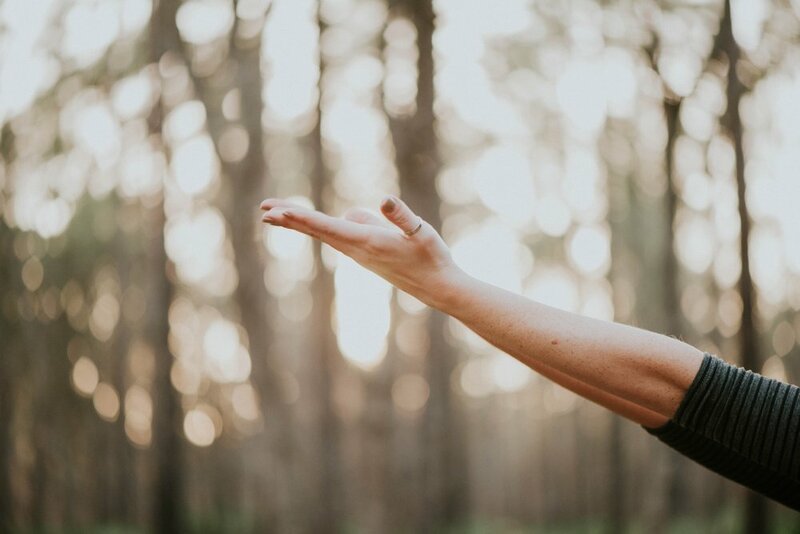 Yothera is a holistic process developed by Jessica Maitri, that uses both yogic and modern therapeutic approaches to deepen a client’s self-awareness and presence. Yothera is a client-centered model, instead of a diagnostic model. We are able to help our clients accept themselves more fully, and out of this acceptance they are more easily moved to embrace the opportunity for change, growth and enhanced well-being in body, mind, emotions and spirit. While other mental health and yoga therapy modalities are more “physical therapy” and “diagnostic” type approaches where the therapist gives the client a treatment plan and remedies to use, the Yothera model encourages clients to direct their own path and begin to trust their inner wisdom and intuition for how to bring growth into their lives. The therapist plays a supportive role and accountability partner in the client’s own personal journey, guided by their own intuition. It is a journey between YOU and YOU. What does a Yothera one-on-one session look like? A Yothera one-on-one session consists of the therapist guiding the client to go inward and exploring their inner landscape. This can be done with a phoenix rising yoga therapy session, tantric breathwork, expressive writing, and traditional psychology methods. Jessica guides clients in a dialogue process that is client-centered, open-ended and non-directive. She then guides the individual safely to the edge of deep physical or emotional sensation with assisted body postures, breath, and emotions, and here at their edge, with awareness focused on those sensations, the individual and therapist will enter into dialogue. At this place where body and mind not only meet, but engage each other, the client listens to their body’s wisdom — guided to listen without judgment, clients are empowered to let go of that “need to change” feeling. This creates the opening for deep acceptance and awareness that facilitates a gentle release of underlying charged emotions or beliefs that have often manifested into chronic aches and pains as well as stress and anxiety in their life. The individual is guided through an experience of him or herself in the present moment. And what ever happens in the present moment — physically, emotionally, intellectually and spiritually finds richness in relationship to the bigger picture of how that client is being in the world in daily life — work, play, family and relationships. The session concludes with the client speaking to what was most significant in their body, and how this bridges into their lives and what they might do with this new information.While a series of sessions are often most helpful, profound change has been know to occur in a single session. What does a Yothera Group look like? The Yothera group model is an 8-Week, theme-based group series. Each week has a different theme (listed below). This also achieves a similar result for clients as one-on-one therapy. The process of guiding clients through their own inner world is the same as a one-on-one session, but without the assisted postures by the therapist. Clients have the freedom to explore their bodies and inner wisdom in a group, as well as process what happened for them in a safe, confidential and therapeutic setting. Being witnessed and acknowledged is an important part of healing trauma, and can provide a level of social healing as well. Groups can offer a sense of belonging and acceptance. Groups consist of no more than 9 clients at a time, to maintain intimacy and safety. Groups support individuals with learning how to live a purposeful and value-driven life, and has facilitated deeper friendships over time. Groups are 2-hours each week, with practices and support between each week. Consider it an 8-week Immersion for deep transformation. Each week’s group includes: Yoga Therapy, Embodied practices, Breathwork, Therapeutic Journalling and Dialogue. Befriending the Body, Awareness, Acceptance, Choice, Discernment, Truth, Truth in Action, and Flow. Who would benefit from Yothera?